Bighelp Boston Chapter sponsored the education of underprivileged children in India who are at a risk of discontinuing studies due to very impoverished circumstances. 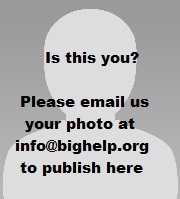 Bighelp thank Bighelp Boston Chapter for generously sponsoring the education and making a positive difference in the lives of the needy children. Bighelp Boston Chapter made a contribution to promoting literacy projects in India and helping schools become interesting places to learn. Thanks to Bighelp Boston Chapter for the compassion and support in ensuring the education that the children receive is effective.